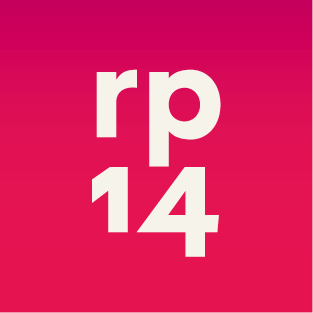 Ryo Central: Re:publica Or Re:plicate? So, the German Re:publica 2014 is almost over. The result is the prediction for me. The so called "net community" is divided. Divided in those who think they speak for all, and the majority of bloggers and net users which are not recognized by the "speakers". A replication of the last events in 2012 and 2013. Maybe some points are valid to point out. Talking about the NSA scandal, like +Sascha Lobo did, is very important. Because privacy is important. Personal data is important. But again, the Re:publica has failed to turn the discussion on the Imprint. As a private blogger, you need to openly give your name and private address to the public. Well, no wonder blogging has to go a long way in Europe. Especially if you chose to write about political topics, e.g. about this NSA stuff. Not because you think they won't have your data anyway, but to make it harder for private persons and spooky Shysters, to keep away from you. This needs to be addressed as it puts blogging in the EU on the same level than in suspicious countries where bloggers needs to be registered. To be honest, it's even better to be registered only for government purposes than putting your private address for everyone visible on the site. But you can't call for privacy and not acting against a law that kicks your privacy away. Be quiet or be exposed? That is not privacy. The other point is the representation of a wider range of blogger, citizen journalists and social media activists. Not everyone outside the Top 10 bloggers are trolls. The remarkable thing in the Internet as a media is that everyone can be a citizen journalist, a writer, an activist or an author. These people needs to be represented when talking about the "net community". Oh sure, everybody can participate. Oh rly? Everybody? Maybe visiting and watching. Not everybody is a talented show star, but maybe that same person is a good blogger. Stop talking about "net community" if you keep ignoring the community. The community is not represented by a few A-Bloggers or populist activists. We already have this in the old media. We don't need that here. And we do not need a flood of hipsters showing their fruit logo in the camera every time a photo is taken. Oh and can we stop putting the "Geeks & Nerds" as a stereotype for a member of the "net community". Please. Yes, I'm writing this article in Emacs and copy 'n paste it to the blog web-interface, but that has no meaning for the average reader. It is not relevant how you do something, it's relevant what you're doing. Or to be precise, what you are intending to do. And your fancy equipment should not be important, neither for you nor for the readers. If you think you are cool, because you are just holding your "tools" logo in the camera of a journalist, let me tell you, you are more of a fool than being cool. It looks like we must ask ourselves what we want to archive. A place in the hall of fame of the artificial scene that has no meaning for the average reader, or someone that has to say something and want it to be read by real people. It's possible. If events like, the only recognized show outside the "community", is actually doing something for the real net community.